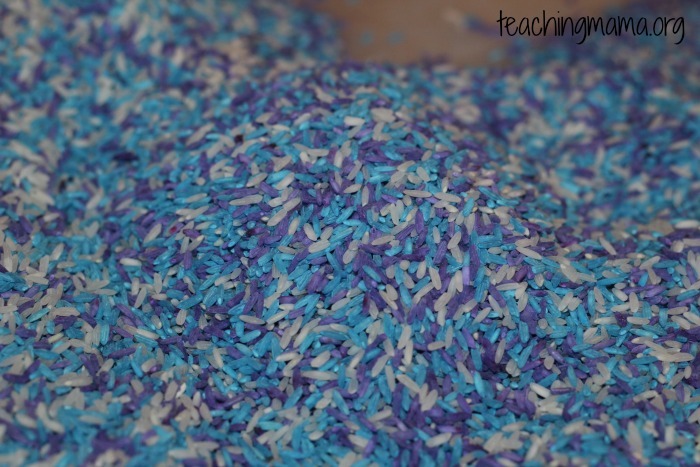 Playing with colored rice is one of the easiest play ideas. 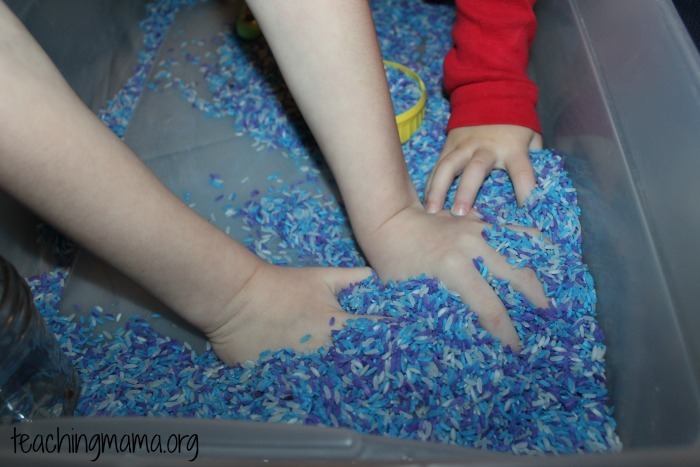 We’ve been playing with colored rice as a sensory base for a long time. 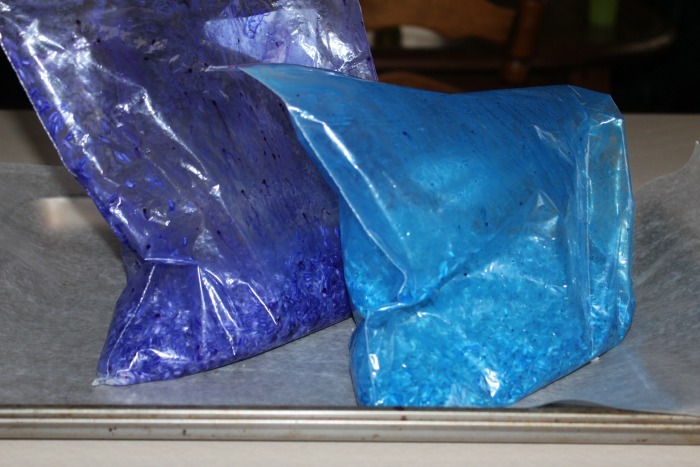 But I realize some of you may not know how wonderful colored rice is to play with. 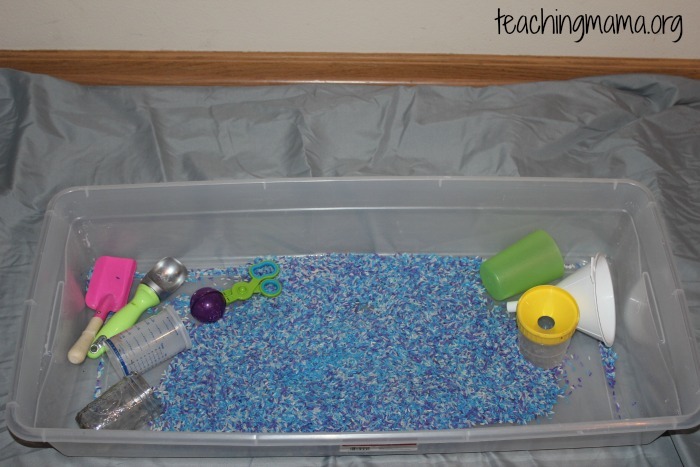 It’s easy to make and leads to lots of play time in sensory bins. 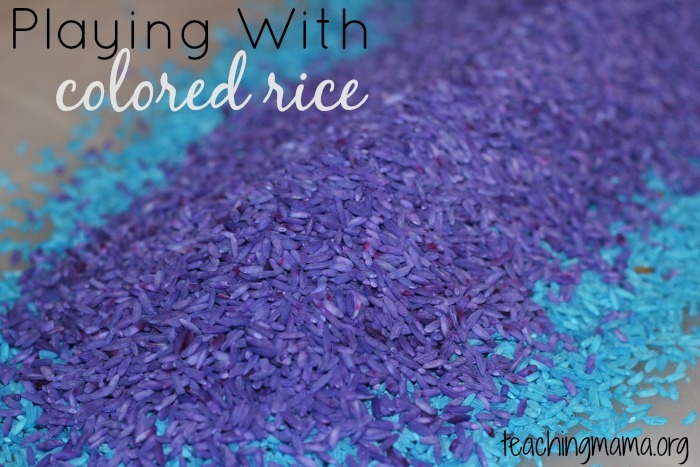 Before I share how we played with it, I’ll share how to color rice. To start out, place the rice in a Ziploc gallon-size bag. 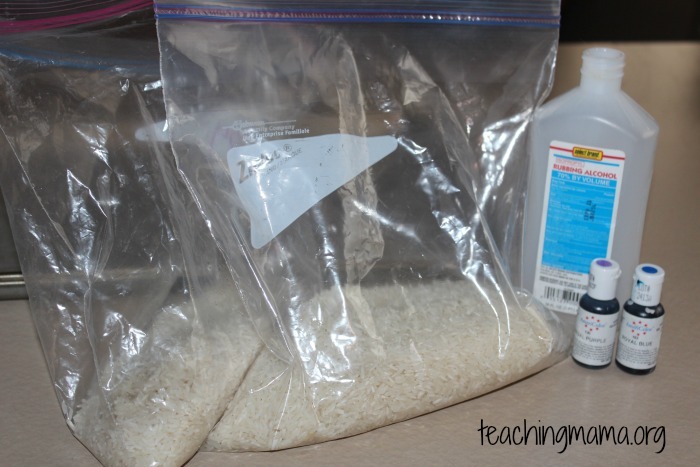 Then pour about 1 tablespoon of rubbing alcohol in the bag (or enough to coat the rice). Close the bag and shake it around. 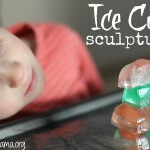 Then drop in some food coloring. Close the bag and shake some more. Let it sit for about 5 minutes. 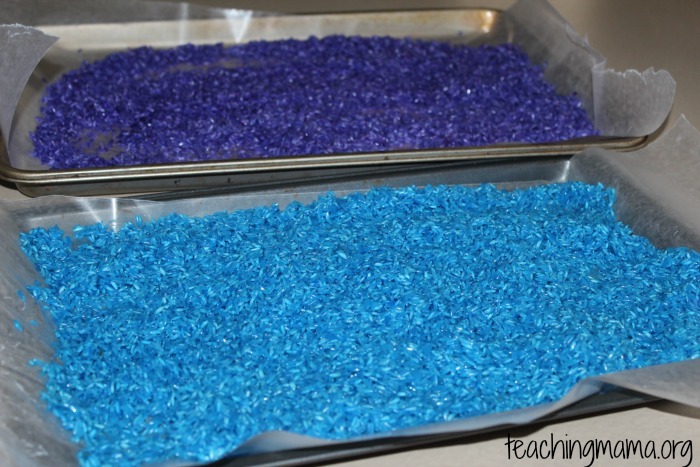 Then pour the rice onto cookie sheets lined with wax paper or parchment paper. Let it sit until the rice is dry. It takes a couple hours to dry. After the rice was dry, I mixed them together and even sprinkled in some more white rice. Then I placed the rice in a large bin along with tools to play with it. 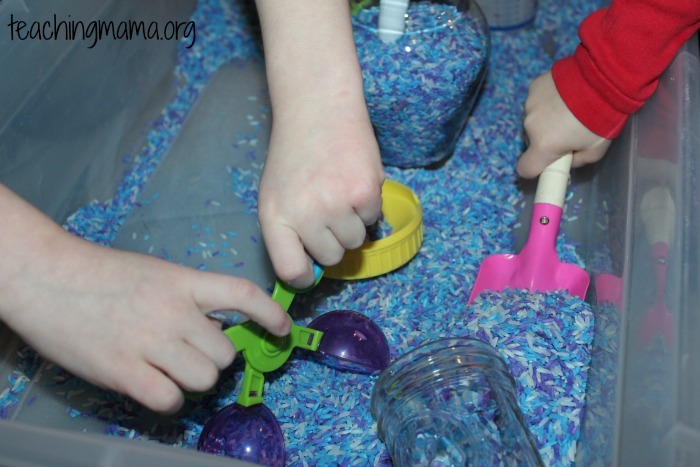 I put in a small shovel, scooper, cups, vase, funnels and more. The kids were so excited to get their hands into the rice! It feels so wonderful! 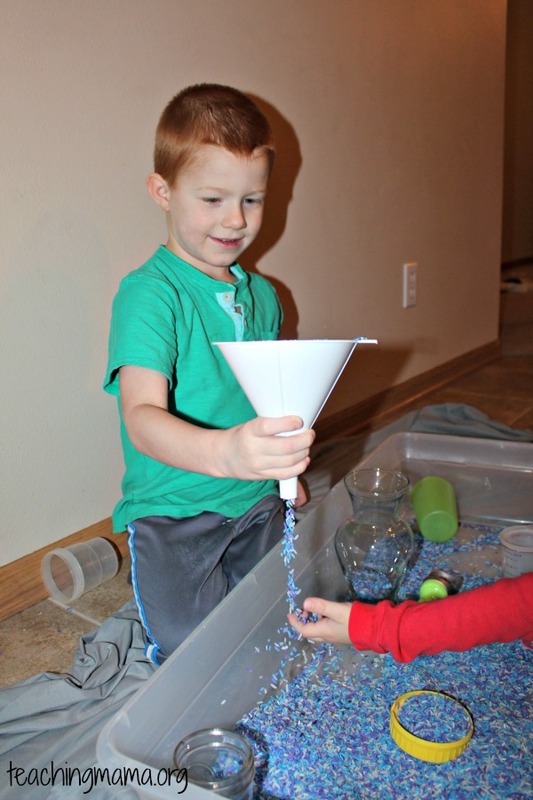 I think their favorite thing to play with was the funnel! The played with the rice for about an hour. Even dad played with them! 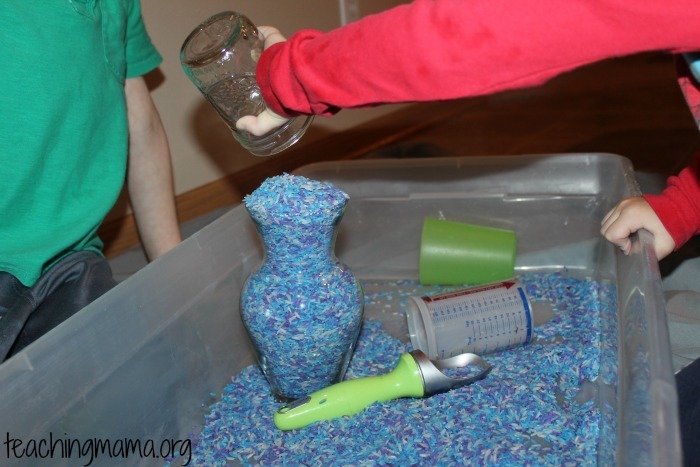 Playing with rice may seem so simple, it really is a great sensory play activity. 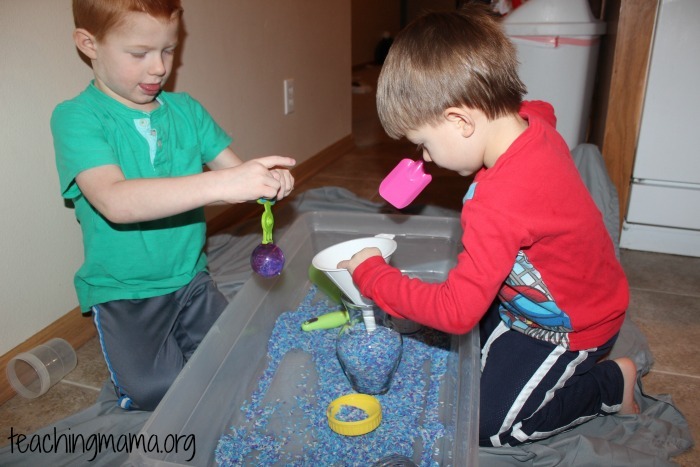 Honestly, I think my kids play with colored rice more than they do with their toys! 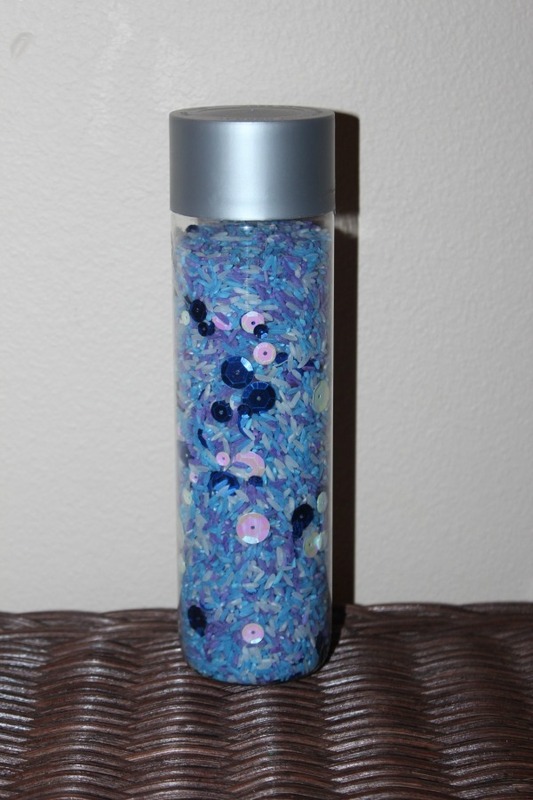 I also put the rice into an empty water bottle and added some blue confetti to make a sensory bottle for my baby. He loves to look at it now, but when he’s older, he will be able to shake it. 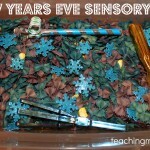 It’s our January sensory bottle and you can see all the sensory bottles I’ve made here. This was day 20 of the 31 Days of Play Series. To see all of the activities, visit here. Happy Playing! I guess I wasn’t prepared for the huge huge mess that it created! I see you put a sheet down, now that’s a smart idea! 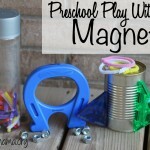 I’m going to try my hand at mommy of the year and have another go lol! Thanks for the great idea! 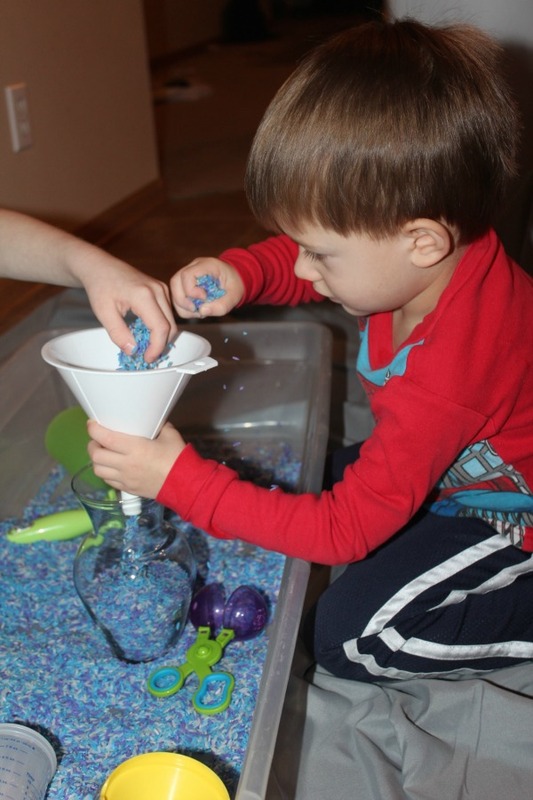 I think my little guy was too young (15 months) to enjoy the objects, but he sure loved squishing through the rice and throwing it around! 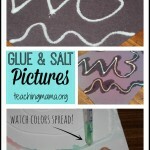 I hope you don’t mind my sharing on my own site (with your credit of course)! Thanks again! How did you remove the label on the bottle? I just peeled it off. I know sometimes it sticks to the bottle more and I use soapy water or Goo-Gone to remove it. Good luck! I just made three colors and they look great! But the alcohol smell is strong. 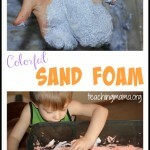 I did use just a tablespoon. Will the smell disappear? Thanks! Yes, it should! 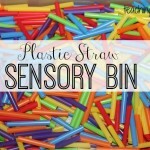 You can also mix in some imitation vanilla or peppermint to mask the smell. Good luck!